For the Sake of the Children, a one-hour documentary film, is a multigenerational story of survival, struggle and transcendence beginning? with mothers who raised children in America's concentration camps. Now, 75 years after World War II, For the Sake of the Children, explores the legacy of the Japanese American incarceration, its impact on current generations, who are descendants of those imprisoned, and the complex interplay of culture, racial prejudice, history, and intergenerational differences. It is rich with interviews with mothers who gave birth and raised children while incarcerated and three generations of descendants. 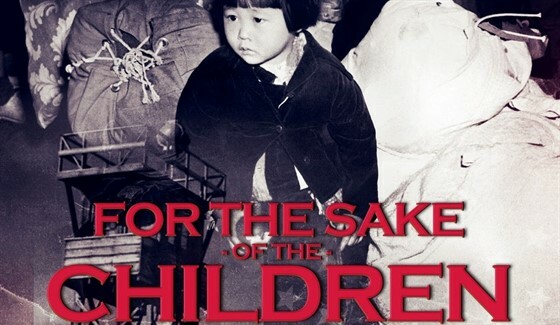 For the Sake of the Children follows the journeys of a variety of Japanese Americans from different generations searching for their identity as Americans with a unique Japanese American heritage. These individuals reflect a cross-section of society such as artists, politicians, preservationists, journalists, activists and young students. Notable individuals include: Former U.S. Congressman and Secretary of Transportation, Norm Mineta; and actor, George Takei.? Many of these stories have, until now, never been told.